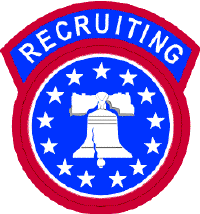 Recruiting for the U.S. Army began in 1775 with the raising and training of the Continentals to fight in the American Revolutionary War under Article I of the U.S. Constitution. The Command traces its organisational history to 1822, when Major General Jacob Jennings Brown, commanding general of the Army, initiated the General Recruiting Service. For much of the rest of the 19th century recruitment was left to the regimental recruiting parties, usually recruiting in their regional areas as was the practice in Europe. Up to the commencement of the American Civil War two types of forces existed in the United States that performed their own recruiting: those for the regular Federal service, and those for the state Militia service. Due to severe shortage of troops after the first year of the war, conscription was introduced by both the Union and the Confederacy to enable continuing of operations on a thousand-mile front. The conscription was first introduced in the South by President Jefferson Davis on the recommendation by General Robert E. Lee on 16 April 1862. The U.S. Congress enacted by comfortable majorities the Enrollment Act of 1863, also known as the Conscription Act, on 3 March after two weeks of debate. As a result, approximately 2,670,000 men were conscripted for federal and militia service by the Northern states. Conscription was again used to create a war-time Army from a small peace-time professional cadre in 1941, which eventually numbered 8.3 million personnel. However, there was a society-wide support for the conscription during the Second World War, in part due to efforts of the National Emergency Committee (NEC) of the Military Training Corps Association led by Greenville Clark who became known as the "Father of Selective Service." The Congress, faced with imminent need to mobilize, still took three months of debate until finally passing the Selective Training and Service Act (STASA) of 1940 in June. Nearly 50 million men registered and 10 million were inducted into armed forces under the Act. With the Cold War looming, the Congress authorised the Selective Service Act of 1948 to enable President Truman to provide for 21 months of active Federal service, with all men from ages 18 to 26 required to register. This Act was extended due to the start of the Korean War, and replaced by the Universal Military Training and Service Act of 1951 by revising the earlier Act. Facilitating the transition to an all-volunteer force, the Army created District Recruiting Commands (DRC) through the continental United States to direct the efforts of its recruiters among the civilian population. The DRC's became "Battalions" in 1983. There are five recruiting, one medical recruiting and one recruiting support brigades in the Command. Each brigade consists of a number of battalions, with each battalion consisting of six to nine companies. A battalion, commanded by a Lieutenant Colonel, employs about 12 officers, 250 enlisted members, of which the majority are on-production recruiters working from recruiting centers, and some 20 civilian support staff. 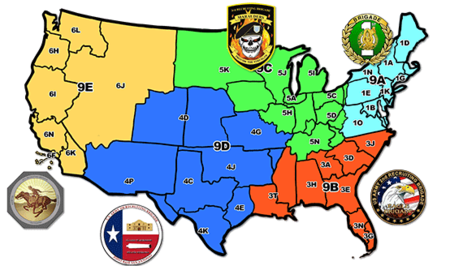 Each recruiting battalion consists of recruiting companies in its area, with 260 companies currently providing recruiting facilities as offices and centers throughout the United States and its territories. The Command also conducts recruiting operations in Puerto Rico, the Virgin Islands, Guam, American Samoa, and at U.S. facilities in Europe, and Asia. ^ "State of the Union Address - Teaching American History". teachingamericanhistory.org. ^ "United States Army Recruiting Command (USAREC)". www.usarec.army.mil. ^ "Army Chaplain Corps". goarmy.com.